. . .In what he now asked her he could not believe that he was treading upon prohibited ground, and in the face of their apparent innocence he was dismayed at the effect his words had upon her. It seemed to him that her eyes flinched when he spoke, as if he had struck at her. There passed over her face the look which he had come to dread: a swift, tense betrayal of the grief which he knew was eating at her soul, and which she was fighting so courageously to hide from him. It had come and gone in a flash, but the pain of it was left with him. She smiled at him a bit tremulously. This web site has the author's name wrong. 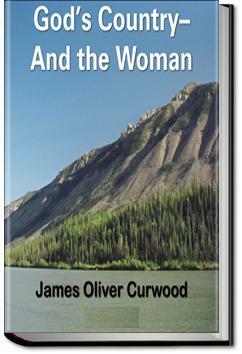 It is James Oliver Curwood, which is why it was hard to find here. Please see that author's work for more details. Two tender romances are at stake in this adventure of the great northwest, with a greedy villain determined to kill to protect his gains. Secrets abound as Weyman and his friend battle the villain and the elements to win out. This book is filled with mystery and intrigue, as well as adventure and romance. It is a book that I didn't want to put down.